There are many ways to serve your country in the Military. Service members are assigned jobs based on their abilities, test scores and service needs. Many of the jobs available have civilian equivalents and offer training that translates to a future civilian career. Each Service has a corresponding Reserve component, and most states and territories have an Army National Guard or Air National Guard unit. In all military branches, service members are divided into two categories: enlisted or officer. Enlisted members are employed in almost every type of military career. They make up approximately 80 percent of the overall active-duty military workforce (this figure includes noncommissioned officers (NCOs), who, despite the title, are higher-ranking enlisted personnel). Officers are generally employed in management roles or highly specialized fields that require more training (e.g., doctors, lawyers and chaplains). Commissioned officers account for approximately 20 percent of all active-duty service members. As you might expect, training to be an officer vs enlisting as a recruit differs as well. Officers train to hone their management and planning skill sets, while enlisted recruits focus on a particular trained specialty. Active Duty means that service members' jobs are full time, whether they are deployed overseas or domestically. These service members receive a regular paycheck and full benefits, including health care, a housing allowance and 30 days of paid vacation per year. Reserve service members receive the same training as their active-duty peers but do so close to home, until they are needed to deploy. 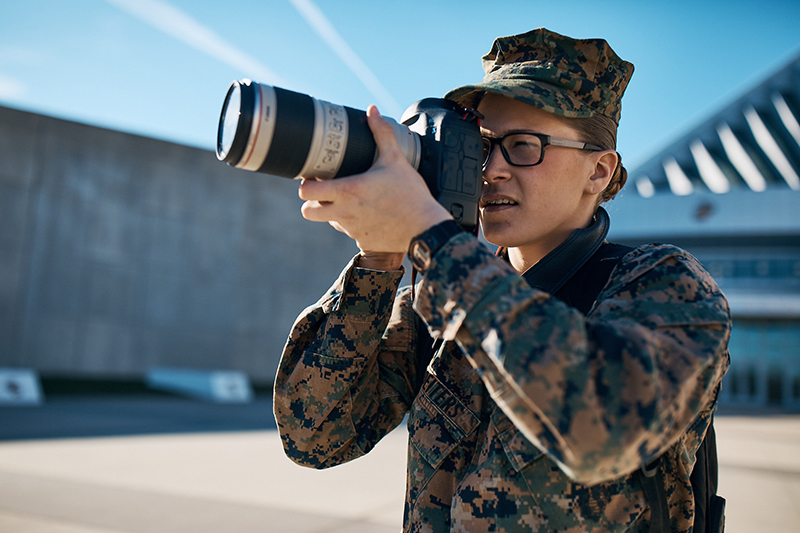 Although some reservists serve full time, most usually hold a regular full-time civilian job and typically train one weekend per month, plus two weeks of field exercises each year. Reserve service members are paid for all the time they spend training or deployed, and receive many of the same benefits as active-duty personnel. The Army National Guard and Air National Guard are community-based and report to the governor of their respective state unless called to protect U.S. domestic interests in times of conflict or natural disasters. They may also be deployed internationally alongside full-time service members when necessary. Members of the National Guard hold civilian jobs or attend school while conducting their military training part time. They're required to train one weekend per month and perform two weeks of field exercises per year. National Guard units are found in most U.S. states and territories. Each branch of the Military offers training on a unique range of skills. The Army protects the security of the United States and its resources. As the oldest and largest military branch, the Army trains personnel in everything from business administration to food service, logistics and procurement. Following Basic Training, Soldiers receive additional training in job-specific skills, many using advanced technology. This training is not only essential for the demands of 21st century defense but also makes Soldiers more marketable in today's information-based society. After Recruit Training, Marines attend the School of Infantry. Marines with a Military Occupational Specialty (MOS) classified under infantry are trained at the Infantry Training Battalion (ITB), while all noninfantry Marines are trained at the Marine Combat Training Battalion (MCT). After that, they receive either formal school training or on-the-job training. Emphasis is placed on practical skills application in every job. After Boot Camp, Sailors are trained in hundreds of job specialties: traffic controller, information systems technician, intelligence specialist, interior communications technician, aviation and sonar technician, to name a few. You'll find plenty of jobs on the water, but not everything happens on ships. The Navy also needs health care workers, interpreters, pilots, chefs and hundreds of other specialists. Following Basic Military Training, Airmen are given further training to prepare for career specialties. Some Airmen even attend the Community College of the Air Force (CCAF) and earn a two-year associate’s degree. There are plenty of Air Force jobs in fields beyond aviation, from public affairs to legal services and financial management. Like other Services, the Air Force uses the latest technology in its programs. The Coast Guard protects the public, the environment and U.S. economic and security interests in any maritime region, including international waters and America's coasts, ports and inland waterways.